The Pop Shoppe was once a leading player in the Canadian soft drinks market, but changing market conditions and corporate mismanagement drove the company into bankruptcy in the early 1980s. In 2003, an entrepreneur purchased the rights to the brand, and was considering reintroducing it in the market on the idea that many Canadians would be as fond of the Pop Shoppe as he was. The challenge was significant: the new potential buyer had little experience in the beverage industry and limited funds for a brand revival, and consumer habits had changed in the many years since the brand died. Questions about market segments and brand positioning loomed large. Older consumers might embrace the reintroduction of the old brand, but did they comprise a sustainable market segment? Would older consumers be able to turn their children onto the brand? How true should the brand stay to its original concept? Was a new positioning strategy required to meet growth goals? 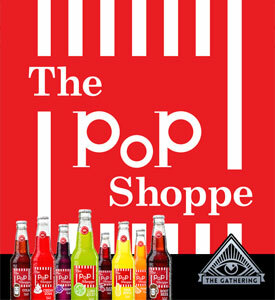 Could enough consumer and retailer interest in Pop Shoppe be raised to make the brand succeed? This case lets students grapple with the difficult task of re-launching a once-iconic brand after a significant absence from the market. A B-case supplement to Pop Shoppe (A) deals with the entrepreneur’s decision in 2010 on whether to enter the U.S. carbonated soft drinks market. The B-case highlights important distinctions between two seemingly similar markets in an attempt to demonstrate that success is not always easy to replicate. 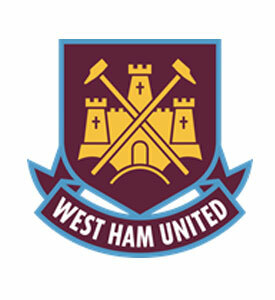 West Ham United is an English football team that competed to win the right to move their games to play in the stadium being constructed for the 2012 London Olympics. They secured financial support from the local government and the backing of the U.K. athletics. West Ham’s rival bidder, Tottenham Hotspurs, presented a strong business case for the move and required no public support. West Ham, despite this, won the right to move by focusing on the fan side of the equation. The case focuses on ensuring fan acceptance of the move. The learning objective is to illustrate how powerful emotional forces are in business decisions. 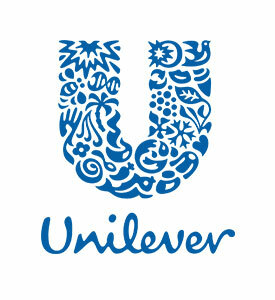 Unilever is a solid leader in the Brazilian detergent powder market with an 81% market share. Laercio Cardoso must decide (1) whether Unilever should divert money from its premium brands to target the lower-margin segment of low-income consumers, (2) whether Unilever can reposition or extend one of its existing brands to avoid launching a new brand, and (3) what price, product, promotion, and distribution strategy would allow Unilever to deliver value to low-income consumers without cannibalizing its own premium brands too heavily. 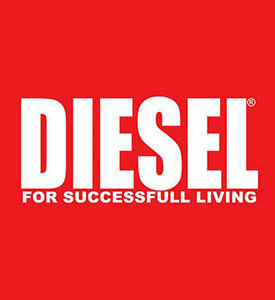 Diesel SPA, number two casual wear company in Europe, known for irreverent and deeply ironic “for successful living” advertising campaign, is launching a new upmarket line: StyleLab. They need to decide on risk branding strategy: independent brand, endorsement (StyleLab by Diesel) or sub-branding (Diesel StyleLab). Coca-Cola (“Coke”) is one of the best-known brands in the world and the world’s sixth-largest advertiser based on dollars spent needed a cost-effective way to build deeper connections with consumers, especially teens, and its flagship Coke product. The company hypothesized that leveraging digital social media would enable it to better connect with young consumers around the globe. Teens, even if they loved a piece of social media, were hesitant to post a link to it on their Facebook or MySpace page out of fear that their friends would not approve their choices. 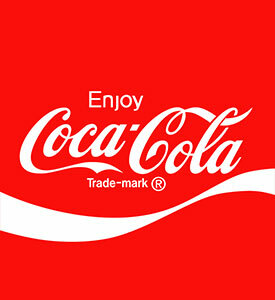 Coke believed that if the content was compelling enough–funny or shocking–teens would share it. To this end, Coke designed and installed a unique soda vending machine on a college campus in New York as well as a hidden camera to film what happened when students bought beverages. Coke’s plan was to upload the video to YouTube and benefit from the excitement the machine generated and spread unexpected happiness around the world. 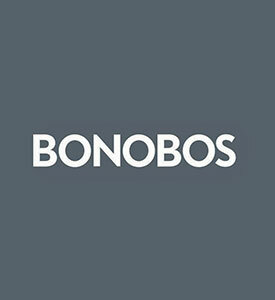 This case describes how Bonobos, an internet apparel retailer, leveraged social media to connect with its customers and prospects. Through connecting directly with customers using social media, the company found that consumers were not only interested in Bonobos’ flagship product, pants, but also accessories. Bonobos used social technology such as Facebook, Twitter and blogs to sell these products and to create a more intimate customer experience. The case describes the company’s spend and the reach and impact of its social media efforts. 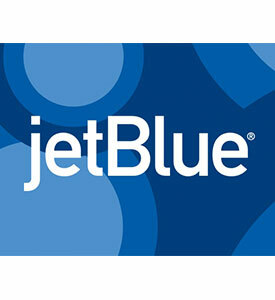 In 2012 the New York-based airline JetBlue served 70 cities with 650 daily flights. JetBlue prided itself on being a fun, low-cost airline with high-quality customer service and popular amenities not found on other airlines. But while it had loyal frequent customers, the wider public did not understand JetBlue had a differentiated product. Also, the company had a tradition of treating everyone the same, which was an important part of its brand identity, but many passengers did not perceive JetBlue as a business airline. JetBlue was addressing these issues through human-centered marketing including humorous YouTube videos, an organizational structure designed for innovation, targeting customer interaction using social media, and authenticity and transparency. By detailing JetBlue’s successes and failures, the case provides students with a practical, real world example of how to create and grow a social brand. For its human-centered marketing, JetBlue used YouTube to launch multiple ads that spoke to its brand identity through humor. These ads resonated with people across the country, went viral, and attracted widespread media attention. JetBlue also designed for innovation, especially through the concept of “fast failing,” where ideas are tried quickly and cheaply ($5,000 -$10,000), and they either succeed or fail fast. If the ideas fail, the company moves on quickly to something else. One of these ideas turned into one of JetBlue’s most innovative and successful marketing promotions ever. JetBlue made a serious mistake in 2007 that damaged the company’s reputation. JetBlue tried to operate during a big storm, but ended up leaving passengers on planes on the tarmac for up to 11 hours without additional food or water being supplied to the planes. JetBlue’s CEO put up an on-line apology, which had over 400,000 views on YouTube and was the impetus for the company to start using social media on a large scale. JetBlue saw that customers were answering back to the YouTube video in the comment section, which created a scalable channel to have two-way communications with customers. 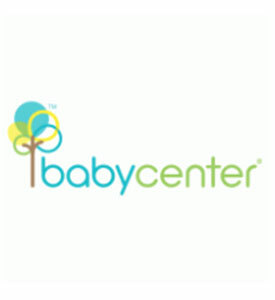 In 2012 BabyCenter was the largest parenting platform and parenting media company in the world. It provided expert advice to pregnant women and new mothers while connecting these women to each other online and in person. The company had 110 employees, with operations in 23 regions around the world in 14 languages. The case provides students with a practical, real world example of how to create and grow a social brand. It details how BabyCenter evolved as a social brand through implementing several mechanisms: cultivating employee innovation, creating customer communities, empowering influencers, and enabling great storytelling. BabyCenter cultivated employee innovation through its three-day “BabyCenter Innovation Days,” held every six weeks. These days involved brainstorming sessions, breaking into cross-departmental and intra-departmental teams, and presenting innovative business ideas to the rest of the company. These ideas directly benefited the company, as 60 to 70 percent of them went to market. BabyCenter created customer community online through an interactive website, and in the real world through “BabyCenter Birth Clubs.” Using the customer data it collected, the company connected women in the same stage of pregnancy to each other to form the clubs, which served as social organizations and support networks. Through its robust web analytics and surveys, BabyCenter identified its most active and trusted online users, the “influencers,’’ and worked deliberately to cultivate its relationships with them. One way the company did this was through launching a social campaign highlighting several influencer moms who worked with charitable organizations. BabyCenter also understood and embraced the power of stories to create brand value, and it gave customers the opportunity to tell their own stories through the website and beyond. Parfums Cacharel, a division of L’Oréal, used to have a dominating position on the European market with both the number one and number two best-selling fragrances: Anaïs Anaïs and Loulou. At the time of the case however, sales were declining at a rate of 15 % per year and Cacharel was a fragance brand in need of a major revitalization. The task assigned to Dimitri Katsachnias, the new general manager of Cacharel, is to turn around the business. But before doing that, he needs to understand the brand. 1. Brand identity decoding ? What is Cacharel’s brand identity? What are its conceptual and tangible components? Can it be summarized in less than five words? ? Does the Cacharel umbrella brand itself have an identity beyond that of its sub-brands? 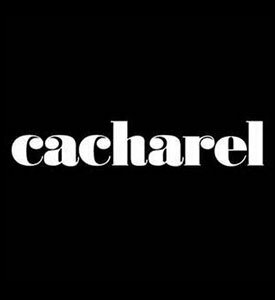 Which sub-brands are mostly responsible for creating Cacharel’s identity? 2. Brand revitalization ? What is the root source of Cacharel’s maturity crisis and how can understanding the brand’s identity help? Should Kataschnias bring the Cacharel brand closer to where the market is now? Should he focus on meeting the desires of today’s consumers or in remaining faithful to the brand’s original identity? 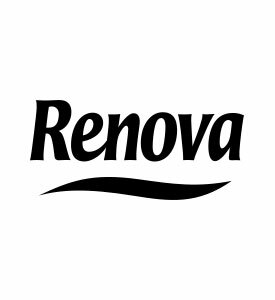 Renova, a Portuguese toilet paper manufacturer, is battling to survive in a stagnant, commoditised market dominated by international giants and private labels. To grow and remain independent, CEO Paulo Pereira da Silva is considering three options: 1) private label manufacturing, 2) new functional innovations, and 3) launching a black toilet paper. What should he do? And how should the chosen strategy be implemented?